What a perfect day!!!! I spent the morning at the track and my discus throwing went really well. I am still trying to figure out how this particular event went so badly at OFSAA for me but Darrin, my coach told me to not be upset and that it takes at least 5,000 throws before I get the real ‘feel’ for it. 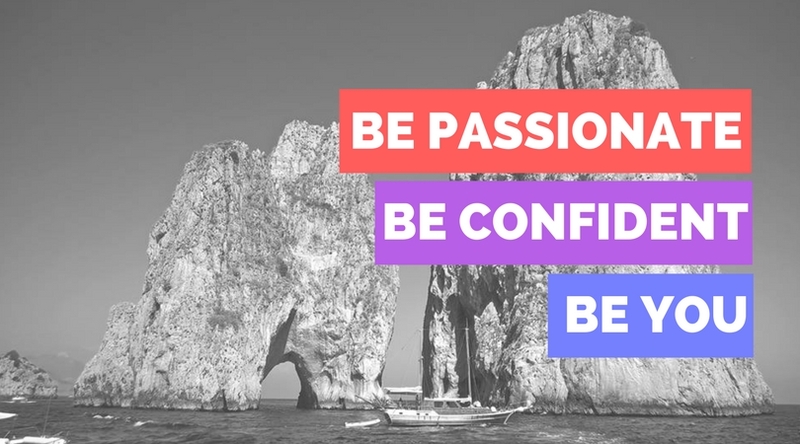 It’s all about consistency. I am pretty consistent with my javelin and my shot but I think it’s because I’ve spent more time on those events. 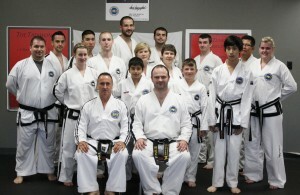 Now that the TKD Pan Am Championships are over I can focus on track for the summer. Of course, I will always do TKD 🙂 I was also really excited since my discus/shot put shoes were ordered and I’m hoping that will make a difference too. Then I raced to Blackburn for an afternoon seminar with Master Laquerre. I had the unexpected pleasure of having lunch with him before everyone else arrived. It was so nice to have a conversation about sports psychology and other training tools. I’ve really enjoyed getting to know him more over the years. Since he is the Technical Director of Canada I always love the opportunity to train under him to make sure my techniques are correct. I was really looking forward to some critiques for my 3rd degree patterns. The first hour of the seminar was all on physical strength/conditioning and kicking/punching drills. I was really happy that I’ve been keeping up with my fitness. 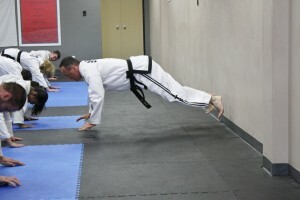 I always get so shocked and impressed when I see the strength, flexibility and power that Master Laquerre has. It just goes to show that you can do TKD your entire life and it will keep you in great shape. Different versions of push-ups work different parts of your body. 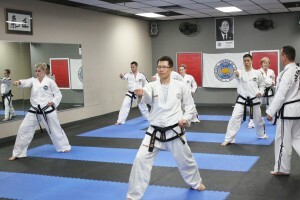 The second hour focused on coloured belt patterns. We did patterns while he walked around the room making corrections. 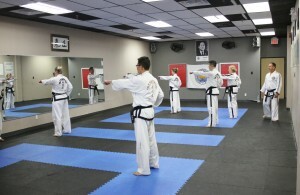 The third hour concentrated on self-defense movements. I found it a lot of fun since I know I will be teaching a group of girls this summer these techniques so it’s good to learn from the best. The fourth hour only concentrated on the black belt patterns. By this time my legs were shaking from working so hard all day but I really wanted to do my best. It’s not everyday that you have a Master to help you with your patterns. These seminars are for learning. It’s great that we can get clarification from Master Laquerre on certain movements. It’s nice to have the encyclopedia to refer back to. 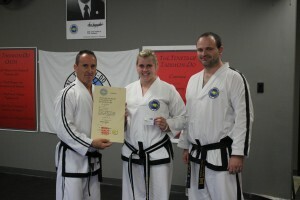 At the end of the seminar Mr. LeGrow surprised me by presenting my official 3rd degree certificate. Although I tested back in March it takes several months for the certificate to go through a full process. Just a great great day. 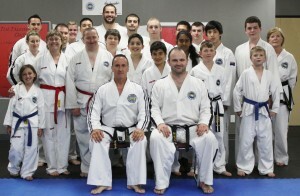 Thank you Mr. LeGrow for organizing the seminar and thank you Master Laquerre for coming from Trois Rivieres for the day. I look forward to training with you again soon.